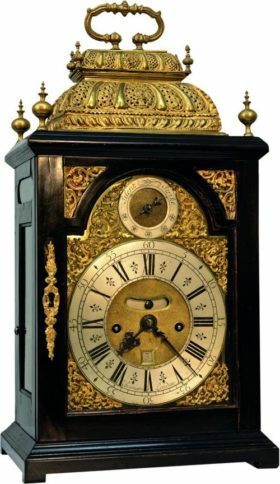 English basket top bracket clock by George Etherington. 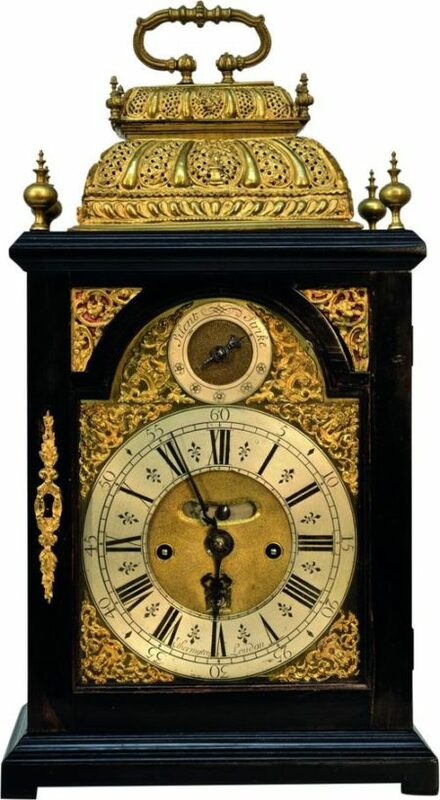 This clock is done in a striking ebonized case and houses a two train chain fuse movement. 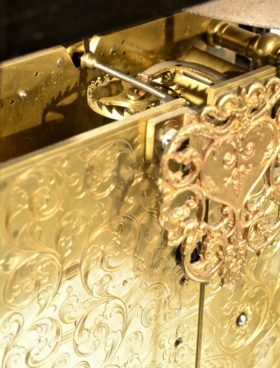 The crown wheel verge escapement remains in original condition, and features a bell strike and repeat at will. The backplate is engraved and signed. 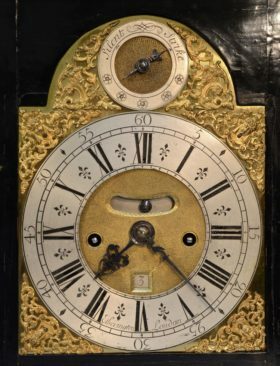 The silvered dial is also engraved and signed, and is accented by cast brass spandrels, calendar, and a false pendulum window. 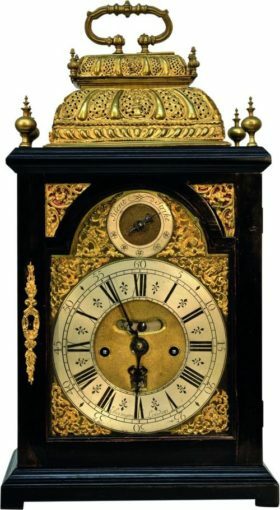 The strike and silent dial are housed in the arch. 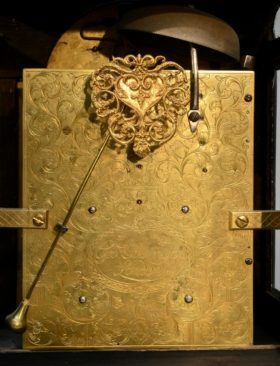 George Etherington worked from 1684 to 1729 and is a highly respected maker.